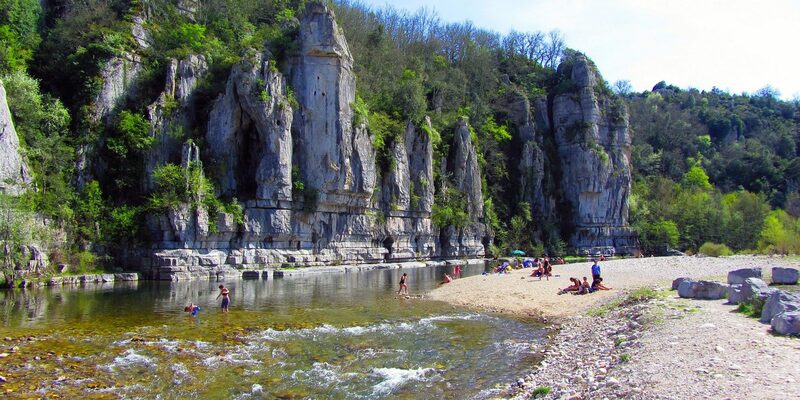 Make the most of your stay on the Soleil Vivarais campsite to go out and discover must-see Ardèche tourist sites. 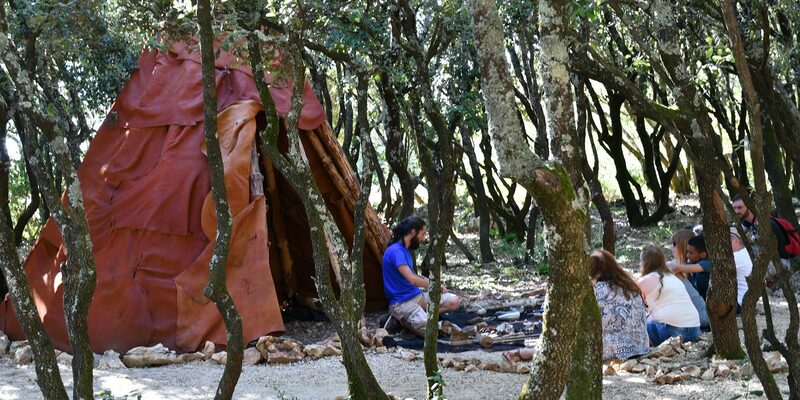 In the commune of Sampzon, you will enjoy one of the most optimal geographical locations, a number of these treasures being located not far from the campsite! From the villages with incredible charm to the magnificent landscapes sculpted by the Ardèche river, our département abounds in sites to visit and indeed experiences as well! Allow yourself to be filled with wonder by the Ardèche, a land of delight par excellence! Magnificent, exceptional, imposing…appropriate qualifiers abound to express all of the beauty of the Gorges de l’Ardèche. Everyone who has experienced them completely agrees: when you come to the Ardèche, you absolutely must visit the Gorges! 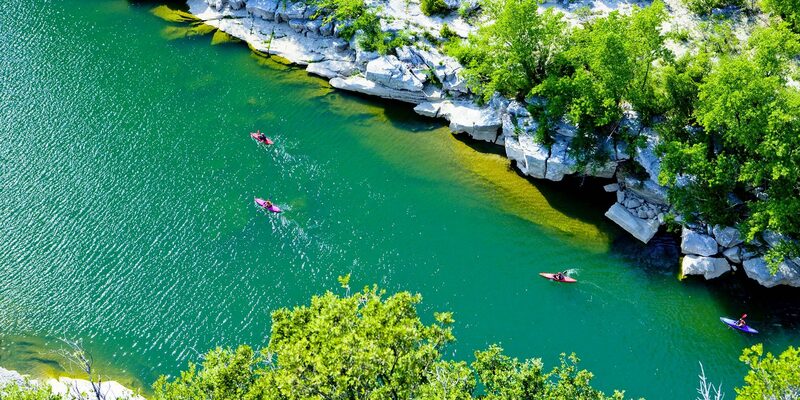 At the Soleil Vivarais campsite, located at the entrance to the Gorges de l'Ardèche, our partner Cap07 (which hires out canoes) offers you the chance to discover various courses and ways down the Ardèche river by canoe. 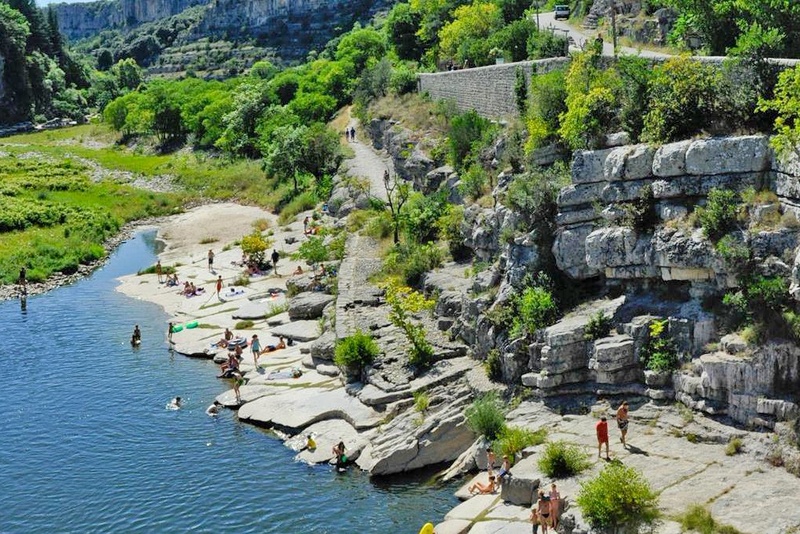 The Soleil Vivarais campsite, a campsite in the Gorges de l’Ardèche, is perfect for the discovery of a unique natural countryside, which is the pride of the entire département! Book your Descent in Canoe in the Gorges of the Ardèche directly with Cap07. 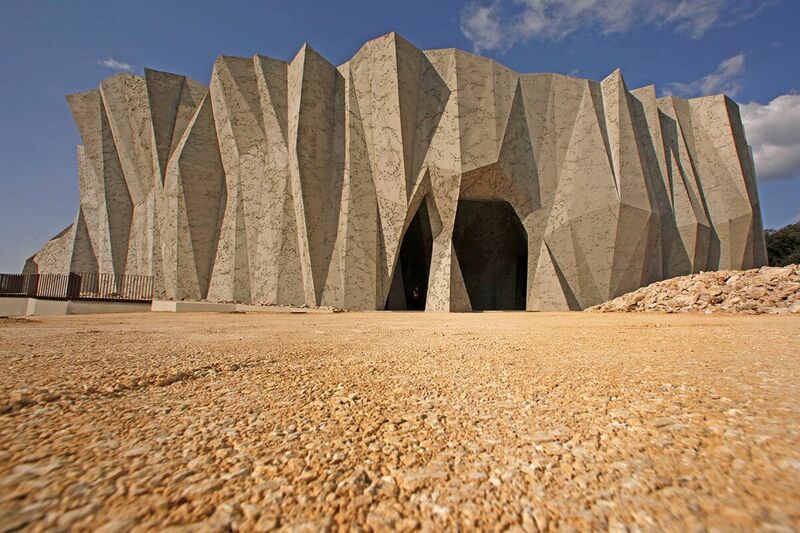 Opened in 2015, the Caverne du Pont d’Arc is a reconstruction of the Grotte Chauvet (Chauvet cave) Discovered in 1994 in the Gorges de l’Ardèche by 3 potholers, the Grotte Chauvet forms part of humanity’s treasures. 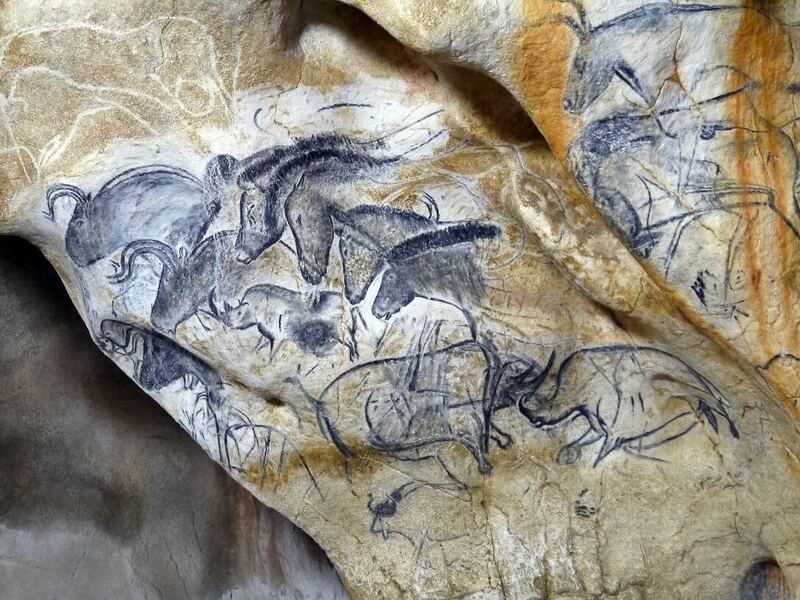 With a thousand engravings and paintings, it is a unique testimony, in the same way as the Grotte de Lascaux (Lascaux cave), of cave art from the Paleolithic era (30,000 years ago). It is in the light of this that it was classified in June 2014 as amongst the UNESCO World Heritage Cultural Sites. 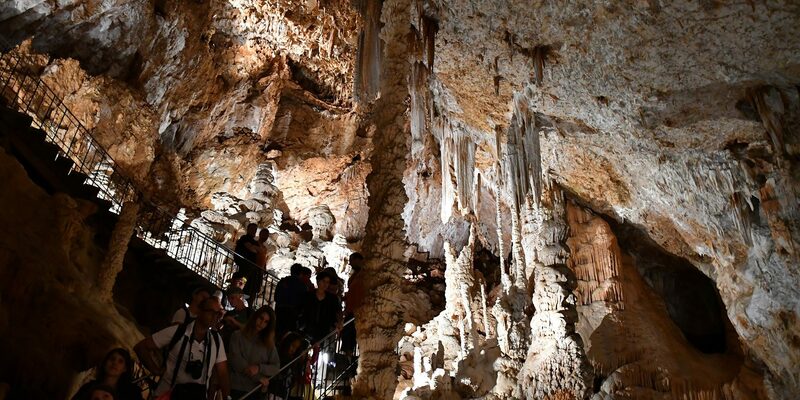 If the Gorges de l’Ardèche reflect Nature at its most beautiful, the Grotte Chauvet is a living testimony to human ingenuity! The original cave is located in the Gorges de l’Ardèche. So as to protect it from damage, it has been the subject of a huge facsimile reproduction. This reproduction is housed in a museum which is entirely dedicated to it: the Caverne du Pont d’Arc, located in Vallon Pont d’Arc. Ideally located close to the Grotte Chauvet, the Yelloh! Village Soleil Vivarais is an excellent starting point to go out and discover this particular treasure! We strongly recommend that you book ahead your tickets for the Pont d’Arc Cavern. The traveller who is discovering the Ardèche for the first time must see Vallon Pont d’Arc. He will be able to marvel at the most mythical tourist site of the département: the Pont d’Arc. This natural arch, with a height of 54 mètres, spans the Ardèche river and marks the entrance to the fabulous Gorges de l’Ardèche. 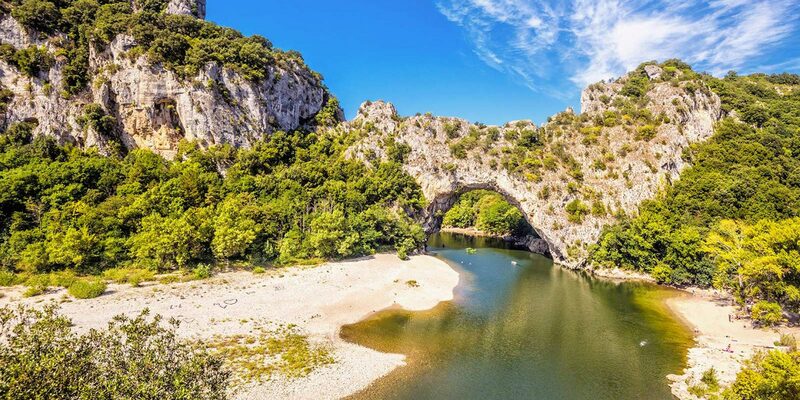 A genuine masterpiece of nature, the Pont d’Arc bears witness to several thousand holidaymakers a year going down the water course by canoe, who pass under its arch. You can also swim there since several beaches surround it. 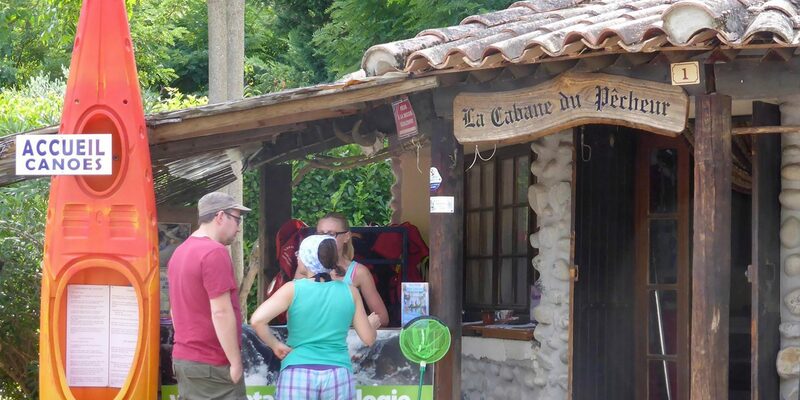 Our campsite is located barely 5 km from Vallon Pont d’Arc, on the banks of the Ardèche river. Those who wish to can leave directly from the campsite to go down the watercourse by canoe, and reach Pont d’Arc with our partner Cap07. Each time that I go to the Pont d’Arc, it is a marvel for me. I have a hugh sense of its sheer size! The Aven d’Orgnac is classified as a Grand Site de France. When staying at the Soleil Vivarais campsite, you will have the opportunity to go down the 120 metres which separate the entrance to these tunnels from the surface, and to marvel at extraordinary geological gems. We went in July with our children who are aged 5 and 9. They adored this prehistoric day. This is not all: the site also accommodates the Cité de la Préhistoire (City of Prehistory) - a museum with exhibitions, workshops and guided visits. A fantastic archaeological journey for the entire family. For athletes, potholing trips are regularly organised, departing from the cave. [It is good to know that the Aven d’Orgnac is also an ideal place for relaxation to spend a day as a family, since the site has a botanical path, playgrounds and picnic areas, as well as a restaurant. 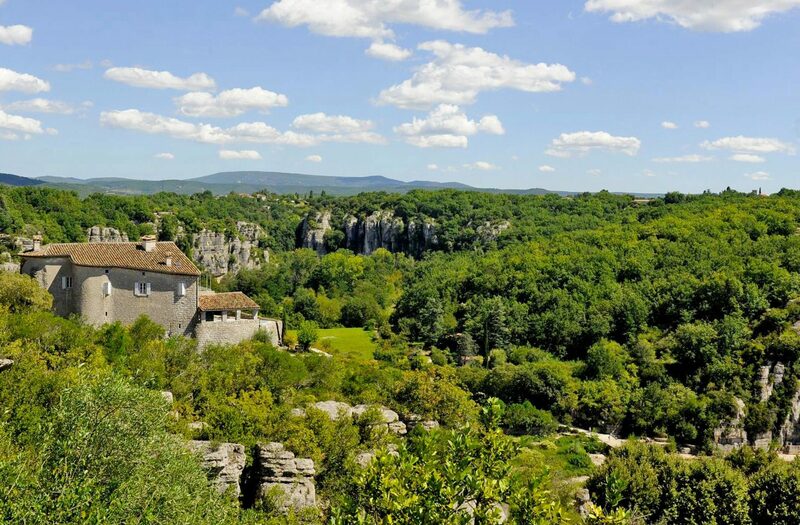 In brief, it is an exceptional site not to miss during your holidays in the Ardèche! Visit the website of the Aven d’Orgnac to learn more or to book your tickets! A character village, perched above the La Beaume river, Labeaume is one of the most beautiful villages in France. With its cobblestone streets (known locally as “calades”) in the shade of houses with pebble facades, its château proudly overlooks the village and its natural cliff setting, which has formed as a vast cirque. It is one of the must-see sites during your holiday at the Soleil Vivarais campsite. Several craft artists have set up their workshop in the streets of the village, making the most of the summer crowds to share their know-how with them. It is one of my favourite villages in the southern Ardèche. A small corner of Provence where I love to be! In summer, the village is also a highly enjoyed location for its delightful beach along the river. Children can swim safely in the La Beaume river. Shallow, with very little current, the river is ideal for small children. Partially shaded, the beach continues alongside a green picnic area. Balazuc is unquestionably one of the most beautiful villages in the Ardèche. Perched proudly above the Ardèche river, this small magnificently renovated medieval village will delight you with its medieval alleyways winding as they please, its Romanesque church, which is home to concerts and exhibitions and the square 12th century church tower…Of course we should not forget its long beach, alongside the Ardèche river. Balazuc is a little piece of Ardèche. Stones, water and sunshine... the whole cohabiting in harmony. On the menu here is a visit, idleness, swimming and canoeing. The Ardèche compressed into one and the same village! Just as with Labeaume, the village of Balazuc is home to several craft-artist workshops. These are equally testament to traditional know-how and local heritage. Every day of the week, you will find at least one market taking place in one of the villages or towns surrounding our campsite. 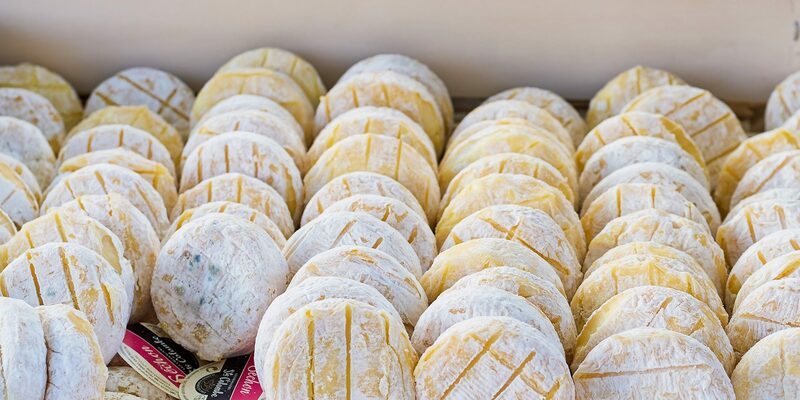 Perfect for a family outing, the traditional markets are the opportunity to discover regional specialities. 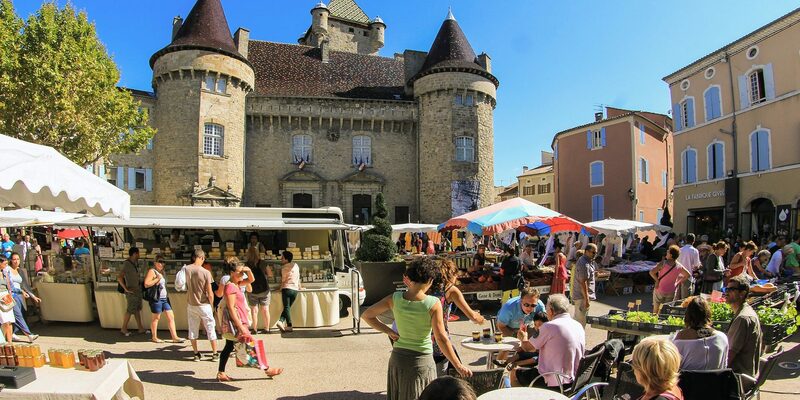 Whether in Largentière, Les Vans, Vallon Pont d’Arc, Sampzon or Ruoms, you can stop in front of the stalls of local producers. 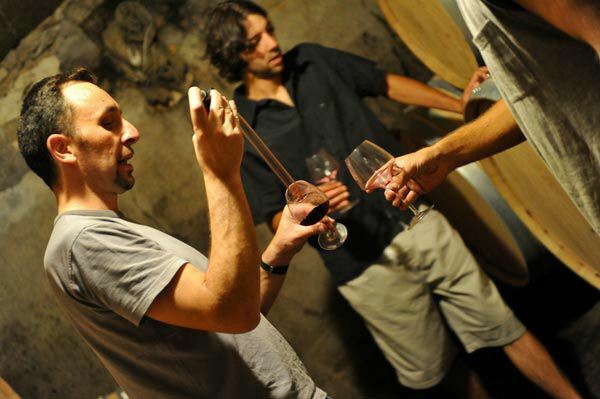 The Ardèche terroir is indeed particularly rich and delights those fond of food as much as gourmets. As regards wines, you are able to opt for a bottle of one of the famous Ardèche vines such as the Merlot, the Syrah or even the Chardonnay. I love strolling amongst the Aubenas market stalls! Abounding in colours and perfumes, you meet market gardeners passionate about their produce and talented craft workers there. Concerning cheeses, lovers of goat cheese will be delighted! You will find many organic producers who use traditional methods that give the cheese that unique and authentic character. Take a slice of bread and put some Ardèche honey on top ... we are sure you'll like it! The markets of our region are firstly an authentic and convivial atmosphere which delight the young and old alike. A family-run vineyard since 1975, the Domaine de Vigier is located at the heart of the southern Ardèche. Its vineyards nestle of the sides of the Ibie valley where the vine grows on the terraces of river pebbles or upon highly clay-limestone soil which is highly parched by the sunshine. Enjoying the strong sunshine, the wines produced there are of excellent quality. 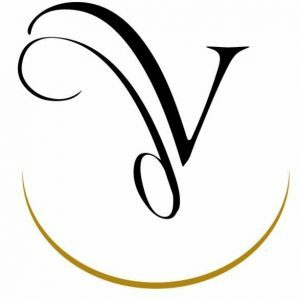 Visit the website of the Domaine de Vigier to learn more! One of the treasures of the Ardèche are the dozens of marked out paths all around the Soleil Vivarais campsite. We organise, for the greatest delight of our holidaymakers, with an Ardèche professional guide lovely walks and hikes leaving from the campsite. My husband and I love covering the Ardèche footpaths. The landscapes are sublime and the countryside unspoilt. If this is of interest to you, go to reception with your walking shoes and hiking poles, a bottle of water and a cap. Accessible whatever your endurance level, our hikes are an opportunity to discover the beauty of the Ardèche countryside. Under the watchful eye of one of our activity leaders and through their stories and anecdotes, cover the loveliest landscapes of the Vivarais. Between Monts d’Ardèche Natural Regional Park, the Cévennes Ardéchoises canton and the Ardèche mountains, the Ardèche offers sensory trips along its hiking trails. It is a genuine kaleidoscope of authentic countrysides to discover, a genuine sensory escape.